A review of Genesis Health Insurance Company finds Colorado-based Genesis Health, an independent insurance broker. Genesis Health offers both business and family insurance solutions. If Genesis Health is not exactly what you are looking for, simply type your zip code into the box above, and compare health insurance rates from other health insurance providers. Genesis promises to find insurance for everybody, regardless of past history and pre-existing conditions. The company is able to get better insurance rates by counting its policyholders as one big group, like a business. It then spreads risk across all of its clients, getting them better rates on their individual insurance policies. Husband and wife team Ken and Olivia Bell in New Orleans started Genesis Health in 2002. Neither of them had prior insurance experience, but they were committed to having the best customer service possible. Unfortunately, as their business was really growing, Hurricane Katrina hit and brought everything to a screeching halt. They lost most of their business accounts and nearly all of their managers. A little more than a year later, after they had built their business back up, one of the insurance carriers that they worked with asked them to help it expand into the Midwest. So, Genesis Health moved to Los Angeles. Eight months later, the Bells and Genesis Health moved to Denver, Colorado, where they remain today. From the start, Genesis Health was not supposed to be just another health insurance company. Instead, the Bells wanted each customer to feel important, and know that their specific insurance needs were being met. The company’s mission is for each Genesis representative to do their best, all of the time. They strive to provide expert advice and always do the right thing. Ultimately, client satisfaction is the most important driving force for Genesis. Genesis Health is committed to both lowering your health insurance premiums and lowering your out-of-pocket expenses. They accomplish this with a razor-sharp focus on health insurance; they do not sell any other type of insurance coverage. They also accomplish this through their Risk Extension™ Concept, which pools their policyholders, allowing them to spread the risk and exposure over a large group, as opposed to each individual. The concept is similar to groups and associations who are able to negotiate better deals with insurer from the sheer size of their purchasing power. Genesis also promises to insure everyone, regardless of his or her health condition. They guarantee insurance coverage to anybody, whether they are suffering from cancer, diabetes, or any other hard-to-insure disease. Genesis Health has strong relationships with highly rated insurers across the country. For employers, the insurance broker has its [email protected] product, which features defined contributions and full administration. With this product, Genesis Health guarantees businesses that they will give them a lower price than any other insurance plan, at least 22% lower than their current insurance rate. [email protected], just like Genesis Health’s individual and family plans, features no deductibles. It also pays 100% of an employee’s medical bills, none of the common 80/20 or 70/30 co-insurance splits. One of Ken Bell’s favorite recruiting lines is “Do you want to watch your kids grow up?” On a video available on the Genesis Health website, and elsewhere on the Internet, the owner and other representatives of the company stress the importance of teamwork and caring for employees at the company. 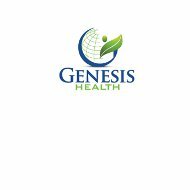 A career with Genesis Health would seem to be a good one, with a work commitment to give all your effort to helping other people get the right insurance coverage to protect them and their loved ones, and a personal commitment to have a life outside of the office. Genesis is always looking to hire good agents and managers. The company promises an endless supply of prospects to those who are good at selling insurance. They say that they will do the marketing and they just need experienced people to handle the accounts. The company hosts occasional job hiring events in the Denver area. What could be easier? Just type your zip code into the box below and find health insurance quotes from insurance companies in your area.